(NEW YORK) June 27, 2013 – Turner Public Relations, Inc. (Turner PR), a national public relations and digital media firm specializing in active lifestyle, outdoor, streetwear and fashion brands as well as travel, tourism and real estate, closed its second quarter by announcing the addition of six powerful new partnerships. The company has been appointed to serve as the U.S. agency of record for Incase, Freitag and the portfolio of all Fenix Outdoor brands including Fjällräven, Brunton, Primus and Hanwag. Freitag: Founded in Zurich, Switzerland by two brothers looking for a convenient method of carrying their design projects, Frietag produces recontextualized bags and accessories from truck tarpaulin. The brand set of a new wave in the bag world, creating one-of-a-kind accessories for the active, urban cycling and fashion markets. Visit the brand’s flagship New York retail location or follow their Facebook: www.facebook.com/FREITAG. Fjällräven: The Swedish outdoor brand was founded in 1960 on the premise of quality and functional, timeless equipment which make the outdoors enjoyable for everyone. Fjällräven has established an iconic presence in North America in both the outdoor and lifestyle markets with their award-winning products and technical gear. Follow Fjällräven on Twitter: @FjallravenUSA • Facebook: www.facebook.com/FjallravenUSA. Turner PR is a boutique firm specializing in public relations, social media and digital communication services for active lifestyle, outdoor, streetwear and fashion brands as well in travel, tourism and real estate developments. 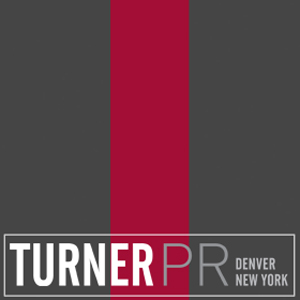 Founded in March 1997, Turner has two offices in New York, NY and Denver, CO, to best service its worldwide clients based in the U.S., U.K, Canada, Mexico and the Caribbean. For more information call (212) 889-1700 or (303) 333-1402 or visit our website, Facebook and Twitter pages.